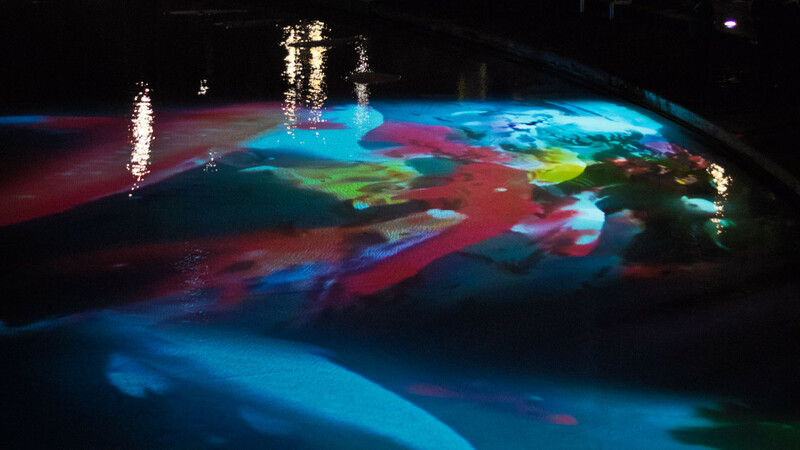 “Mirrored Pool of Thought” was a project by Adept, technical installation by Lumen. 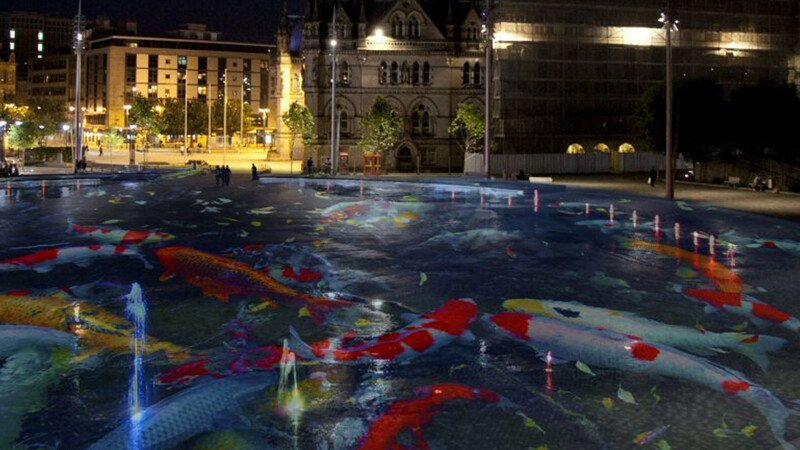 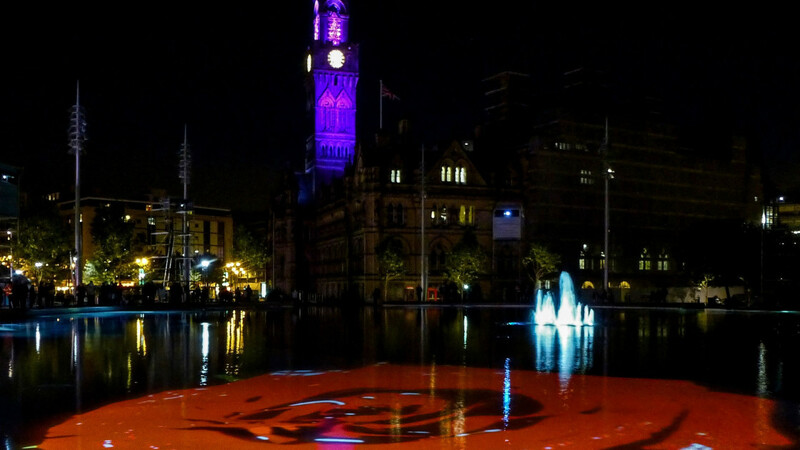 The project was commissioned by Bradford Council and was installed at Bradford City Park Mirror Pool in October 2013. 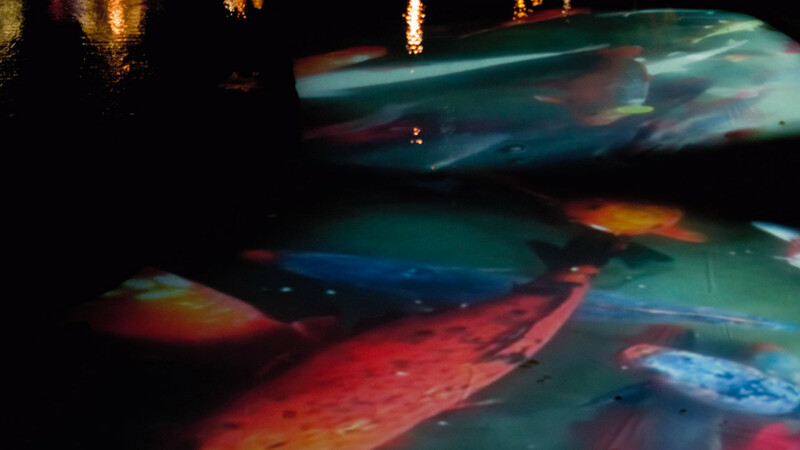 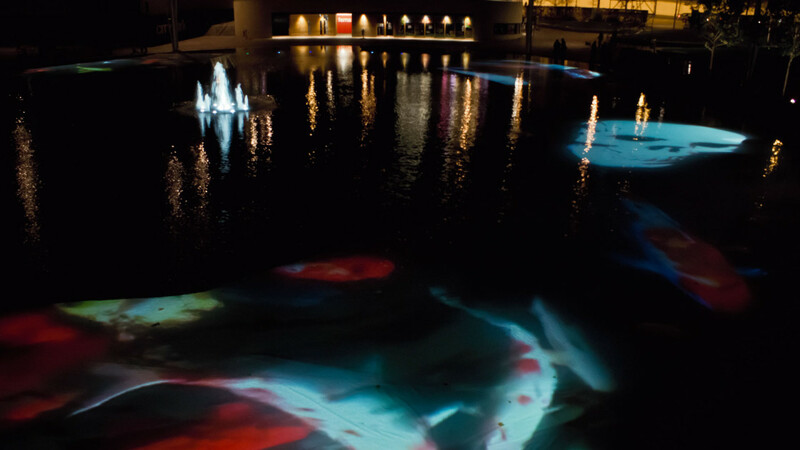 The projection was an 8-channel, 8-projector installation onto water. 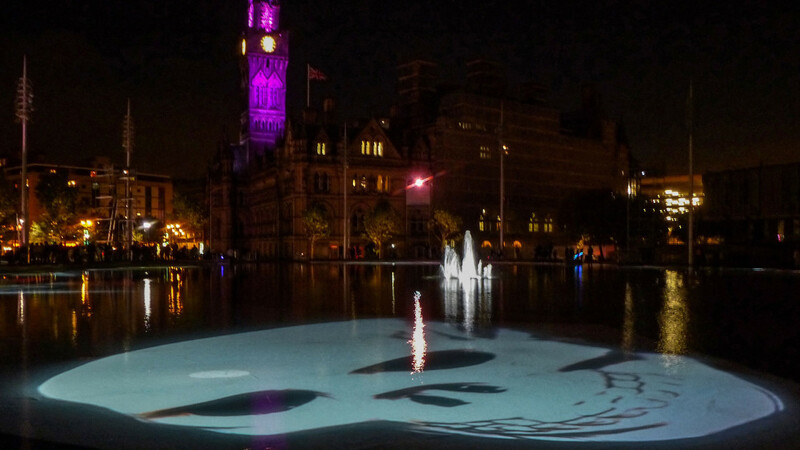 Adept are artist duo Steve Manthorp & Shanaz Gulzar.